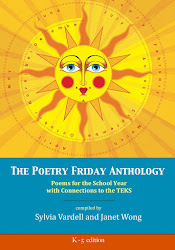 Poetry for Children: Back to school! It's hard to believe kids and teachers (and librarians) are heading back to school already! In honor of that big transition, here's a new poetry postcard featuring a fun "back to school" poem by new poet, Terry Webb Harshman. This is one of the new "printables" featured at Pomelo Books and available here. 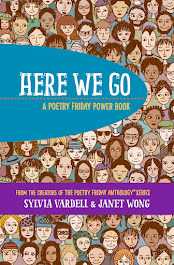 Each poem comes from our Poetry Friday Anthology series and each book begins with two weeks of back-to-school poems for every grade level, K-5; 6-8. 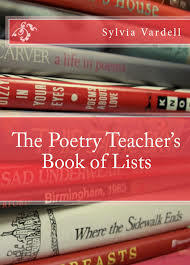 For more school-themed poems, look for the following list in my book, The Poetry Teacher's Book of Lists. Abeel, Samantha.1993. Reach for the Moon. Duluth, MN: Pfeifer-Hamilton. Bagert, Brod. 1999. 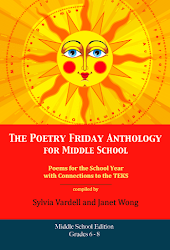 Rainbows, Head Lice, and Pea-Green Tile: Poems in the Voice of the Classroom Teacher. Gainesville, FL: Maupin House. Bagert, Brod. 2008. School Fever. New York: Dial Books for Young Readers. Carpenter, Stephen. 1997. No More Homework! No More Tests! 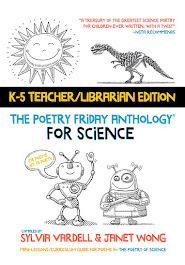 : Kids' Favorite Funny School Poems. Minnetonka, MN: Meadowbrook Press. Dakos, Kalli. 1990. If You're Not Here, Please Raise Your Hand: Poems about School. New York: Four Winds Press. Dakos, Kalli. 1993. Don't Read This Book Whatever You Do! : More Poems about School. New York: Trumpet Club. Dakos, Kalli. 1995. Mrs. Cole on an Onion Roll and Other School Poems. New York: Simon & Schuster. Dakos, Kalli. 1996. The Goof Who Invented Homework and Other School Poems. New York: Dial. Dakos, Kalli. 1999. The Bug in Teacher’s Coffee. New York: HarperCollins. Dakos, Kalli. 2003. 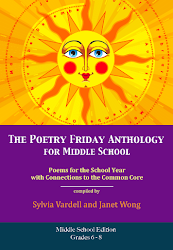 Put Your Eyes Up Here: And Other School Poems. New York: Simon & Schuster. Dakos, Kalli. 2011. A Funeral in the Bathroom and Other School Bathroom Poems. Albert Whitman. Franco, Betsy. 2009. Messing Around the Monkey Bars and Other School Poems for Two Voices. Ill. by Jessie Hartland. Somerville, MA: Candlewick. Frost, Helen. 2004. Spinning Through the Universe. New York: Farrar, Straus & Giroux. Harrison, David L. 1993. Somebody Catch My Homework. Honesdale, PA: Wordsong/Boyds Mills Press. Harrison, David L. 2003. The Mouse was out at Recess. Honesdale, PA: Wordsong/Boyds Mills Press. Holbrook, Sara. 1996. The Dog Ate My Homework. Honesdale, PA: Boyds Mills Press. Hopkins, Lee Bennett. Ed. 1996. School Supplies: A Book of Poems. New York: Simon & Schuster. Horton, Joan. 2004. I Brought my Rat for Show-and-Tell and Other Funny School Poems. New York: Grosset & Dunlap. Kennedy, Dorothy M. Ed. 1993. I Thought I'd Take My Rat To School: Poems for September to June. New York: Little, Brown. Krensky, Stephen. 2004. There Once was a Very Odd School and Other Lunch-Box Limericks. New York: Dutton. Lansky, Bruce. Ed. 1997. No More Homework! No More Tests! Kids Favorite Funny School Poems. Minnetonka, MN: Meadowbrook Press. Lewis, J. Patrick. 2009. 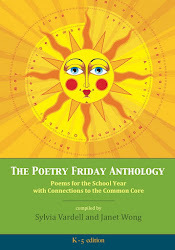 Countdown to Summer: A Poem for Every Day of the School Year. Ill. by Ethan Long. New York: Little, Brown. Nesbitt, Kenn. 2004. When the Teacher Isn't Looking. Minnetonka, MN: Meadowbrook Press. Nesbitt, Kenn. 2007. Revenge of the Lunch Ladies. Minnetonka, MN: Meadowbrook Press. Opie, Iona and Peter Opie. Eds. 1992. I Saw Esau: The Schoolchild's Pocket Book. Cambridge, MA: Candlewick. Prelutsky, Jack. Ed. 2003. I Like It Here at School. New York: Scholastic. Prelutsky, Jack. 2006. What a Day it was at School! : Poems. New York: Greenwillow. Prelutsky, Jack. Ed. 2010. There’s No Place Like School. New York: HarperCollins. Salas, Laura Purdie. 2008. Do Buses Eat Kids? Poems About School. Minneapolis, MN: Capstone. Salas, Laura Purdie. 2009. Stampede! 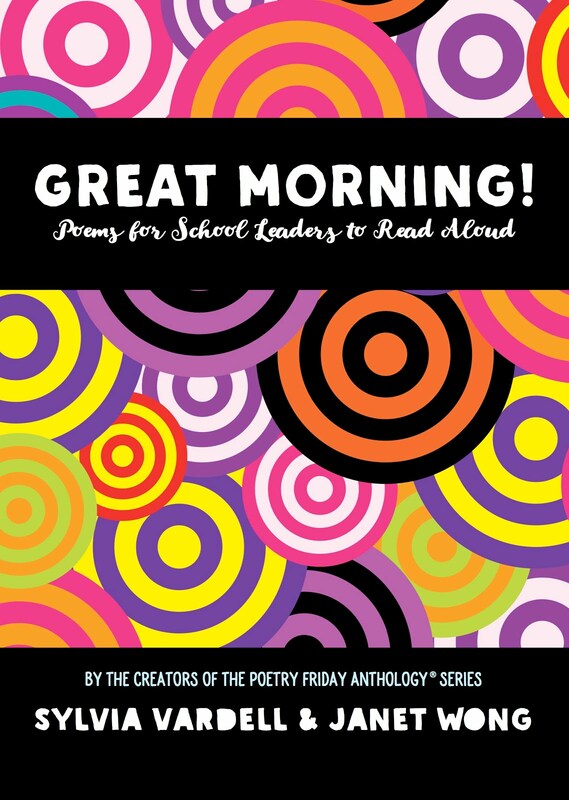 Poems to Celebrate the Wild Side of School! New York: Clarion. Shields, Carol Diggory. 1995. Lunch Money and Other Poems About School. New York: Dutton. Shields, Carol Diggory. 2003. Almost Late to School: And More School Poems. New York: Dutton. Sierra, Judy. 2000. There’s a Zoo in Room 22. San Diego: Harcourt. Sierra, Judy. 2005. Schoolyard Rhymes: Kids' Own Rhymes for Rope Skipping, Hand Clapping, Ball Bouncing, and Just Plain Fun. New York: Knopf. Singer, Marilyn. 1996. All We Needed to Say: Poems about School from Tanya and Sophie. New York: Atheneum. Stockland, Patricia M. 2004. Recess, Rhyme, and Reason: A collection of Poems about School. Minneapolis: Compass Point Books. Thurston, Cheryl Miller. 1987. Hide Your Ex-lax under the Wheaties: Poems about Schools, Teachers, Kids, and Education. Fort Collins, CO: Cottonwood Press. Weatherford, Carole Boston. 2006. Dear Mr. Rosenwald. New York: Scholastic. For more info, check out the blog for this "list" book here. 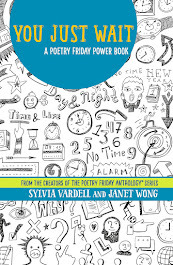 Now head on over to NoWaterRiver where the fabulous Renee La Tulippe is hosting Poetry Friday this week! Great list, & I know the poem, but didn't know about the printable of it! What fun! Thank you! This poem is a riot! Perfect for easing those back-to-school jitters. Thank you for the great list of poetry books, too. My list just got longer! Thank you for sharing this. Your timing is perfect. The jitters have just arrived at our house. This poem is so much fun. 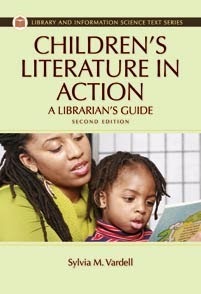 I can't wait to share it with my students. How did summer go by so fast? Thank you for this marvelous list! And the poem is perfect to hang on my wall the first week of school....my sixth graders will appreciate the giggles. The poem and list are timely for us, also. My daughters went back to school over a week ago! 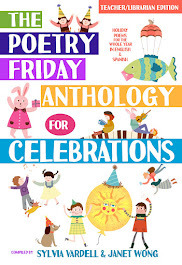 I hadn't known the work of Terry Webb Harshman before Rebecca Kai Dotlich connected us with her for our first Poetry Friday Anthology--but I'm so glad I know her work now. All of her poems have tremendous child appeal! Thanks for the great list. I recently read a picture book collection of poems by Amy Schmidt called DOG-GONE SCHOOL (Random House, 2013). 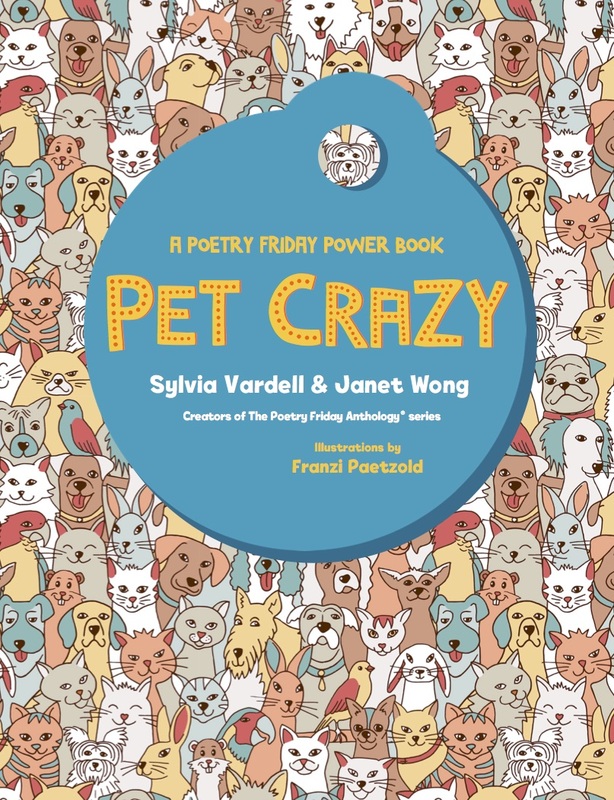 The poems, in a variety of formats, follow a day-at-school trajectory and are accompanied by adorable photos of canine students. Thanks for the great resource list! And what a great poem too. I think I'll print copies to stick in my children's lunchboxes on Monday, their first day back. What a great list. I also love the new postcard!